Of all the shoestring fishing adventures I’ve been on, my proposal to go and invade canals in every corner of the country must surely go down as one of the most unhinged. I’m tempted to say it was a masterpiece of planning and execution; but what it actually entailed was far more strange and spontaneous. A tale of random tip-offs, Bates Motel accommodation and B-roads negotiated in my dodgy, second-hand van. There are two approaches to finding new and interesting fishing. One is to go by the guidebook; the other is the murkier but altogether more interesting world of studying maps, making phone calls and chasing unlikely leads. The latter is what turns me on as an angler. And where canals are concerned there is a rich seam of mystery. Local rumours tend to replace hard fact, while half of the controlling clubs don’t seem to know exactly what dwells in their own waters. Anglers as a whole tend to get most dewy eyed over rivers, but I’d argue that our canals can be every bit as beautiful. Why do we never seem to celebrate them as much? It beats me. Right at the top of the pile in terms of beauty would be our rural waters- and the canals of Wales would most definitely make my own personal short list. The Monmouth and Brecon must be one of the most regularly bypassed waters by travelling rods. But for the price of a couple of pints of beer, you can find fantastic fishing, with some cracking roach and genuine surprises waiting. The Montgomery or “Monty” is another Welsh wonder. There is some decent townie type fishing, but the rural sections are just magical. You could walk for miles. Coming to think of it we did. It is so beautiful you could stick it in an art gallery. I could compose an entire slideshow purely of spring scenes on this waterway. Wild and shallow in many places, it’s very much a roving angler’s water. Definitely a place to take a fly rod for roach, pike and even the odd chub. 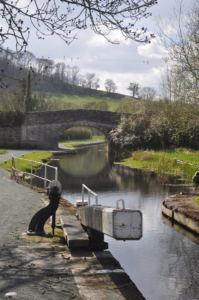 Last but not least, I would also place my own local Grand Western Canal on the list of sublime looking cuts. Hit the place early on a summer’s morning amidst the lilies and if you have anything resembling a soul, part of you will never want to leave. In total contrast to our most idyllic cuts, there are plenty of others of a much more urban character. We headed north in search of towering chimneys and former heavy industry and certainly weren’t disappointed. 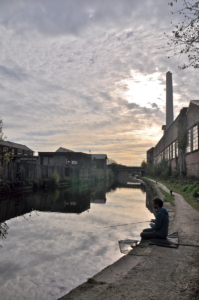 GrandUnion_Carp It was photographer Tom Balaam who showed us a couple of spots that were the ultimate in industrial scale. The Leeds and Liverpool at Saltaire is at the finer end: vast walls and towers stretch upwards. Talk about a place of grandeur and history. We also found both gritty waters but also great fishing on the Sheffield and Tinsely and Huddersfield Broad canals. These sort of venues are the ultimate lesson in not judging a book by its cover- or a fishing venue by its assortment of smashed windows and litter. 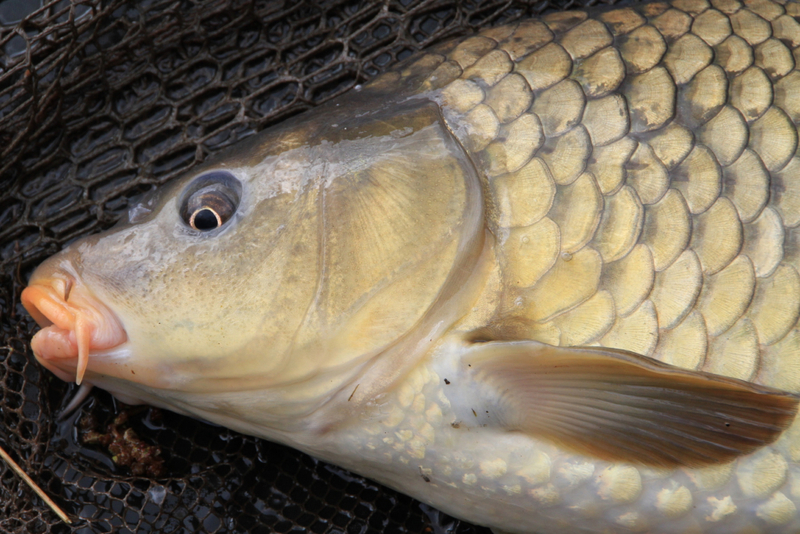 Roach, perch, pike, chub, carp… you name it, you can catch it. 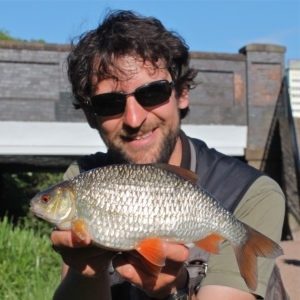 What is the oddest thing ever to have been caught on a canal? The wider answer doesn’t even begin with fish. One of my friends had an unopened and nicely chilled four pack of Fosters in a boat marina. Another caught a trainer- and then another to make up a rather fetching pair on the next cast on the local canal. 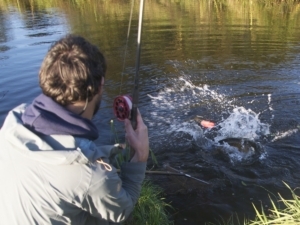 The almighty lucky dip that is canal fishing is one of its true charms. You could catch absolutely anything- and in an era where so much fishing is known and mapped out that’s something to celebrate. The book itself contains rumours, oddities and records including canal barbel, wels catfish, flounders, koi carp and even salmon. Talk of a 40lb canal sturgeon could have been the best tale of the lot, but turned out to be an April Fools Day prank. Even so, the verified captures are weird enough. Our own adventure contained the best of both worlds. I caught something that might politely be described as “something for the weekend” in central Huddersfield; and then on the very next cast a stunning, utterly wild looking trout of a pound and a half. Few passers by believed me and I can still hardly believe this catch myself. In so many ways, canals are at the heart of British life. Like the local football team, even non-supporters are always curious to know the latest form. We had so many random conversations, and found that wherever we went people were friendly, funny and curious. One phenomena that exists everywhere is the local know-it-all. Sometimes it is a chap who actually fishes; just as often it is someone wandering about half-cut at one in the afternoon who simply has to give you their all-knowing advice. Certain truths emerge, whether you’re on a towpath in Birmingham or Glasgow. I am always fishing in the wrong spot, I’m informed. The fishing was always better ten years ago. And every canal has a local monster, described with outstretched hands and wide eyes rather than any concrete measurements. Joking aside, the road trip left me with a really positive feeling about this country. We are fed a daily diet of fear by our media, but the vast majority of Brits are great people: tolerant, talkative and endlessly great company. Another highlight of the trip was the sheer variety of regional accents, from the friendly drawl of a Brummie, to the chewed vowels of a Yorkshireman. Wherever we went, myself and Russ were fascinated by the regional slang and enjoyed making our own shoddy imitations of the local dialect. Canals are severely underrated (and cheap as chips)!